Normally I go to both days of FanFest, but this year it’s just not in the cards. I sort of wish I was there right now, because there are a few fans and friends I’d like to see that weren’t able to make it yesterday, but yesterday also fully delivered, and now I find myself a little more excited about the start of the season than I was on Friday. Yesterday delivered so much, in fact, that between when I got there at around 11.30 and when we finally closed the place down around 4, I had completely lost all sense of time. I had hoped to be able to get seats somewhere in 185 to 187, but those seats are saved for families and walk-ins who just want a cheap ticket to go see a game. 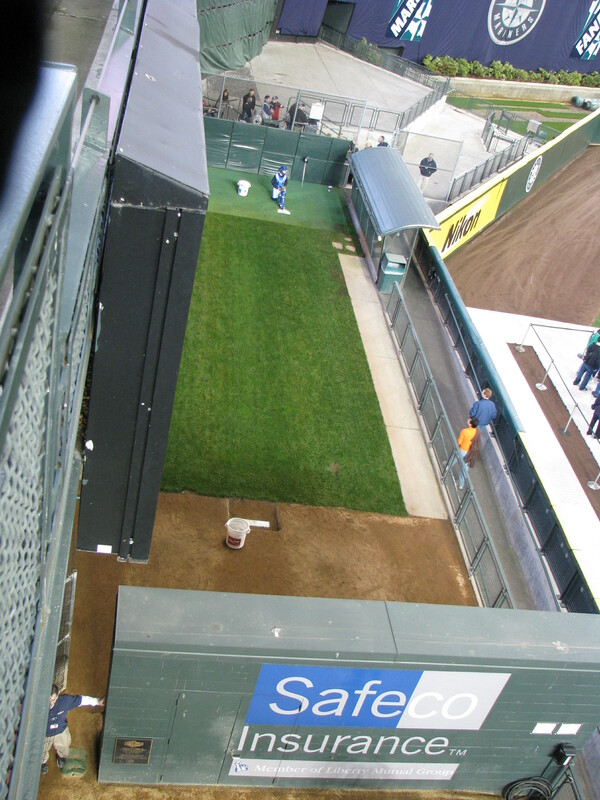 So it looks like a lot of bullpen warm-up shots may look like this this season. 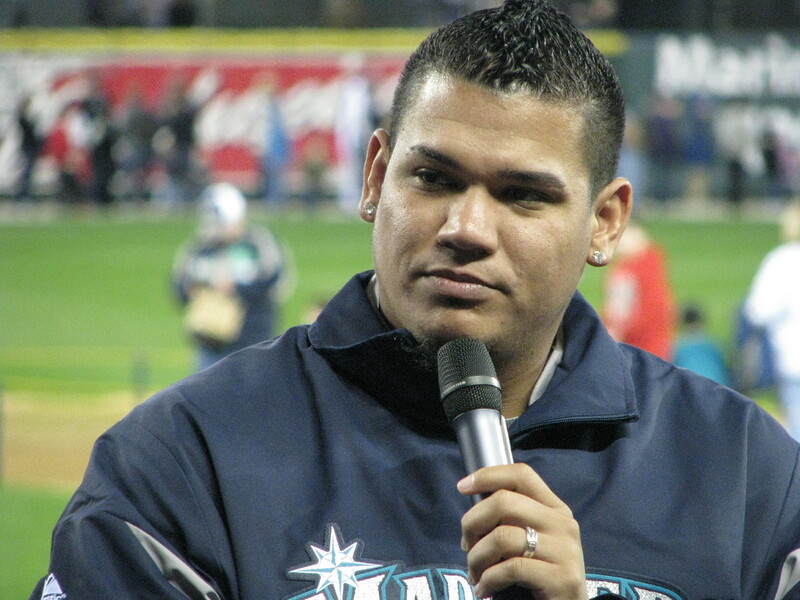 On the way up to choose seats, I was told by the attendant that Felix Hernandez has just purchased a house for his family here in Seattle so he can call Seattle his home. This was surprising news, and made me very happy. When a player loves the city they play in enough to move his family and call it ‘home’, that says a lot about his devotion to the team and its fans. But more about Felix later. I’m still not a huge fan, but they don’t look as terrible up close as they did in the first picture I saw of them, and for some reason I’m not nearly as alarmed by the choice of white pants (as opposed to gray) as I should be. I got my hot dog and a giant Dr Pepper in this year’s souvenir plastic cups (I use them for coffee), which feature different pitches and their grips. Mine was a circle changeup. I still have no idea how to throw a changeup, and I doubt that the helpful cup will change that, but at least now I have another vessel for coffee in the mornings. We had just missed Jack Zduriencik speaking, but made it down to the Dugout Dialogue in time to see Michael Pineda and Nick Franklin finishing up their session with the crowd. 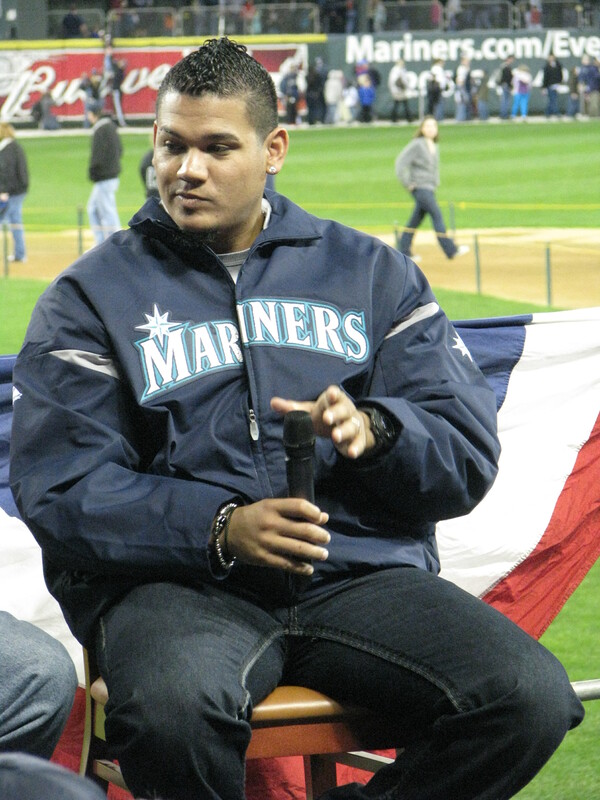 Pedro Grifol was on hand to help Pineda with translation, and also to answer any scouting questions, I’m assuming. Unfortunately, I was too busy trying to right my blood sugar to pay much attention to what was being said, but I’m OK with that. Both players seemed amiable, if not fully overwhelmed, and they took questions and gave answers much as might be expected. 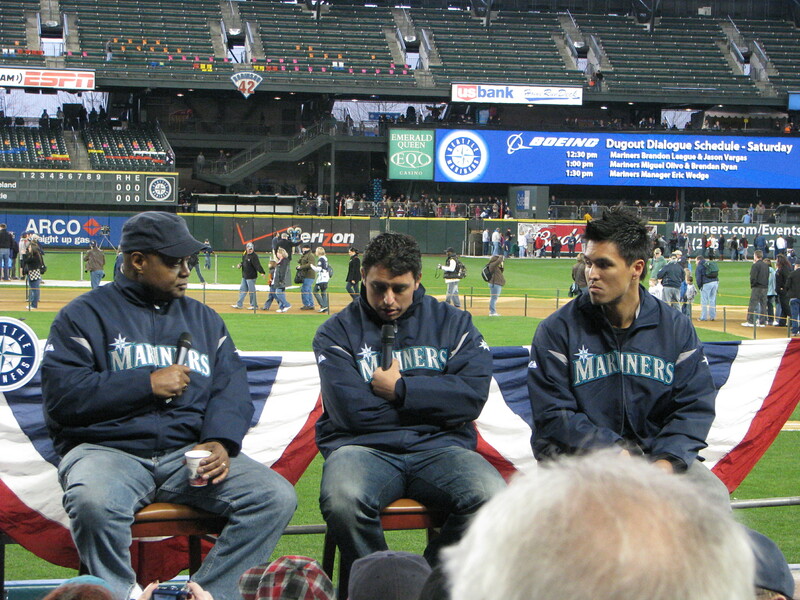 Next up were Jason Vargas and Brandon League, who sat with Dave Sims and talked with him briefly before answering questions from the people sitting around us. 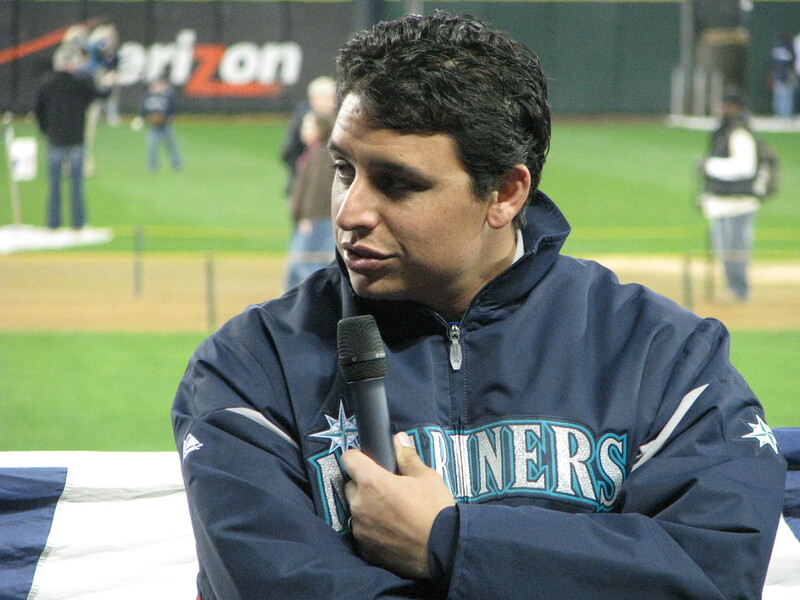 Vargas displayed a little more confidence yesterday than he has in past interviews, and when asked about the series against the Marlins here in Seattle, was keen to get to hit in the lineup – I didn’t know this, but the Mariners/Marlins home series here will be played with NL rules because the band U2 is more important than Florida baseball, and they’ve basically been booted from their own stadium. That is unfortunate, as I know at least one Mariners fan down in Miami who was really looking forward to seeing the team down there. Much to my glee, someone in the crowd pointed out that League had come here with a sterling strike-out reputation for his splitter, and asked why he was never using it. League said that he preferred to throw that pitch with two strikes under his belt, and admitted that opposing batters had been able to put the ball into play before he’d had a chance to use it, which makes far more sense than what they were trying to tell us last year about saving the pitch so that batters didn’t get used to it. A little honesty goes a long way with me, so big ups to Brandon League for a little disclosure. League also mentioned that his mohawk would likely be making a comeback, but for now it was grown out to avoid scaring the kids at his daughter’s school. Some people groaned at the thought of its return, but I, of course, approve. 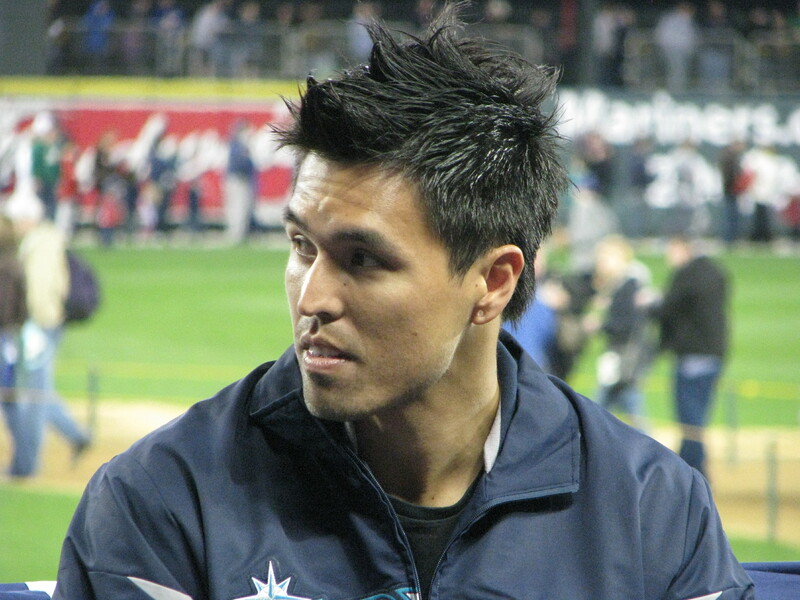 Olivo seemed to be a subject of multiple opinions when he was acquired last year, but I think I kind of like him. He’s a charmer. 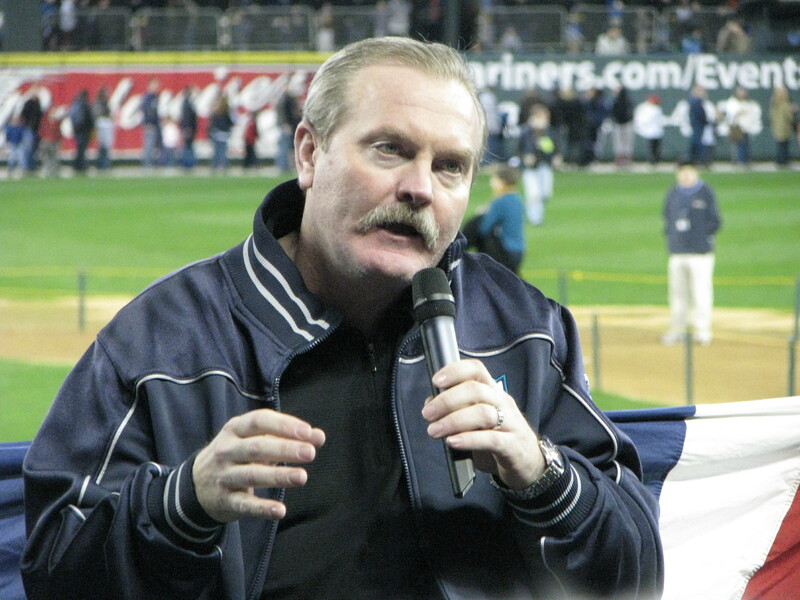 He also feels that he owes the city of Seattle something after the last time he was here, and assured one member of the crowd that he was a “guard dog” at the plate (this was a question relating to passed balls and plate blockage). I will of course reserve my full opinion for when I finally see him, but I did enjoy his interview. Ryan didn’t make much of an impression, but to be fair, Olivo seemed to be doing much of the talking, so I’ll have to let Ryan’s play speak for him, too. After that, when Sims came back onto the top of the dugout, it was with our new manager. I have only seen Eric Wedge, but I have never heard him speak. If his walk is half as good as his talk, I’m pretty stoked for this season. Sims and Wedge played analyst rapid-fire style – Sims threw out player names, and Wedge lit up and talked about what he thought of the player and what he had planned for their development. The amount of energy and animation he brought to the dais was amazing, and while it might just have been the fact that I needed someone to bring some encouraging words about the upcoming season, I have to say I was impressed. The man is fired up. The one thing that he said that Conor and I talked about later was the fact that he is going to push the offense towards doubles, rather than raw power, to get guys to hit into the gaps rather than over the wall or just trying for singles. 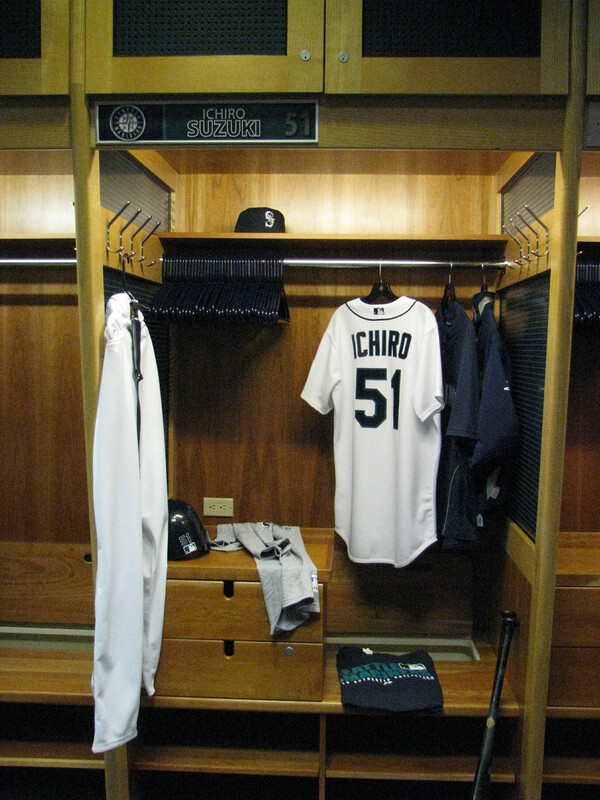 I’m sure the exception will likely be Ichiro, of course. 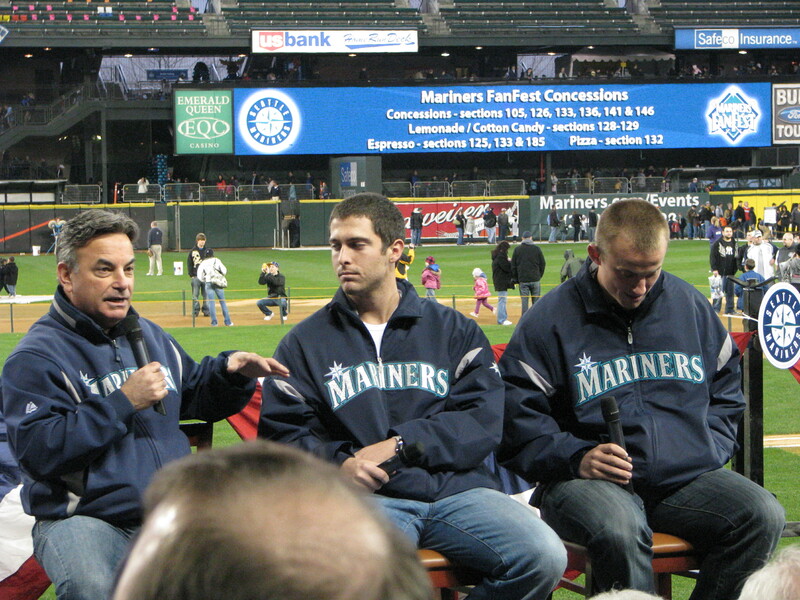 When asked about the number 3 and 4 spots in the lineup, Wedge said he would likely have to rotate out of necessity throughout the year because the team wasn’t really at the point where the lineup could remain concrete – but that Ichiro and Chone Figgins would remain his number 1 and 2 batters. The difference between Felix a few years ago (even last year!) and Felix today is simply amazing. Not only his English, but his comfort with public speaking, and how relaxed and confident he seems are big changes from his younger years. I guess winning the most prestigious pitching award will do that to you. At that point, quite a crowd had gathered, and the two assistants running around with microphones attempted to get in as many questions as possible. 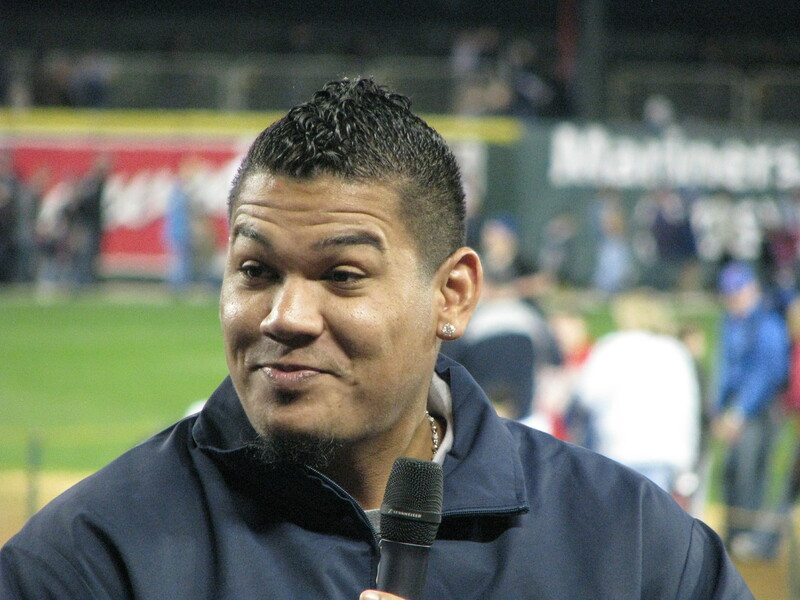 There were a lot of congratulations tossed around, and a lot of applause at key moments, such as Felix admitting that he was happy to have been able to strike out Joe Mauer. He’s all ours, The Rest of Baseball! Rick Rizzs showed up on the dugout after Felix finished signing autographs for far more people than I would have been willing to wade through, and with him were Dustin Ackley and Kyle Seager. Seager is a lot more loose and smile-ready than Ackley, but maybe time will change that. 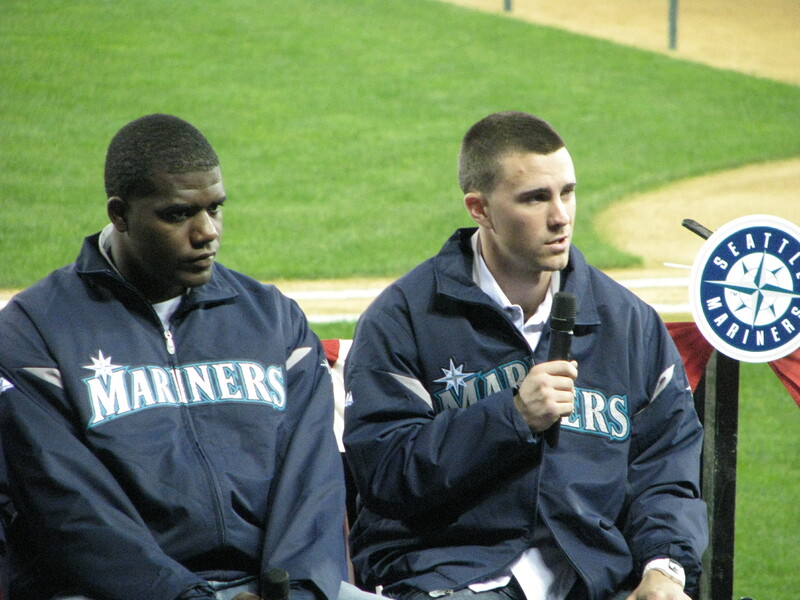 I waited to get a shot of Ackley smiling, but it was a losing battle. I think he might have once when kidding Seager about their two teams playing each other in their younger years. I want one for my yard! We wound up downstairs looking for the team chef and Diamond Club chef, who usually do cooking-show-style demonstrations in the Diamond Club dining room, but they were not there. 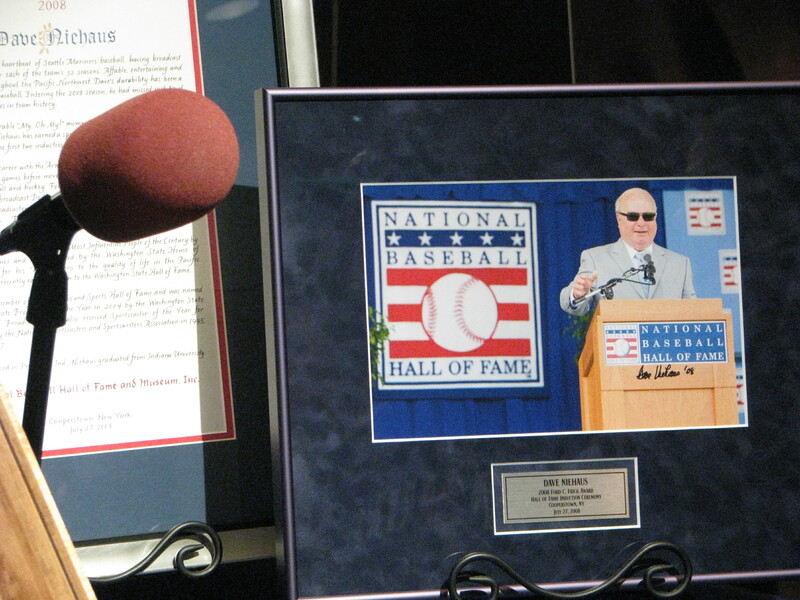 Instead, the room was set up to remember Dave Niehaus, with video from the memorial in December playing, and the display of Dave’s various awards and first scorecard from 1977. 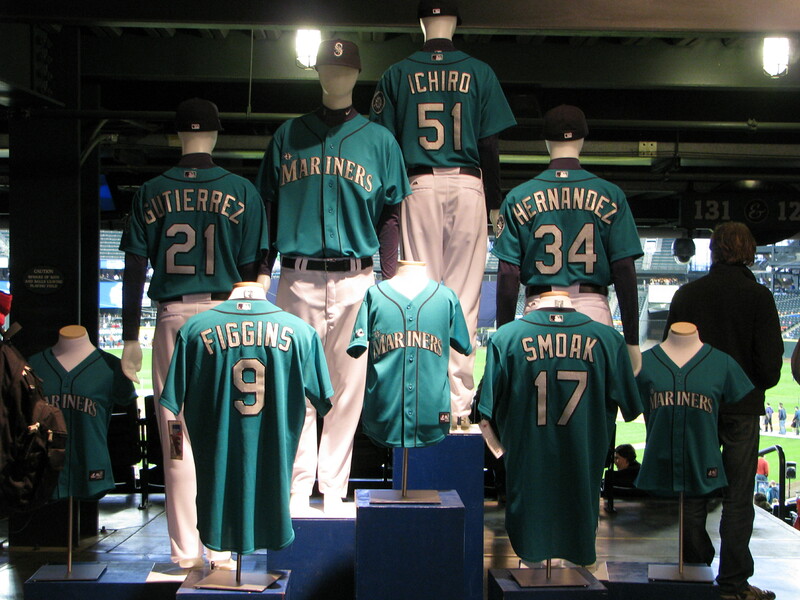 We also went through the area down further in the Diamond Club that always has all the old pictures and uniforms from older times in Seattle baseball. I do love a good old-tymey photo. 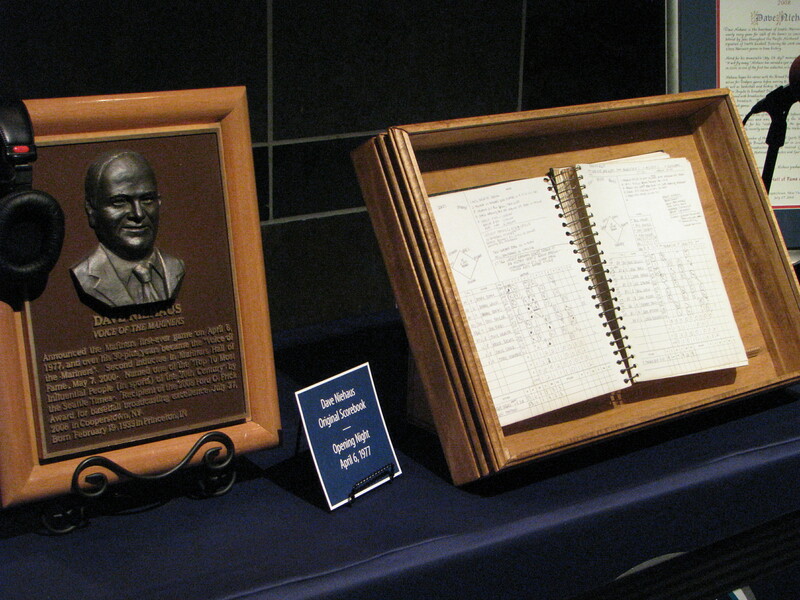 I think baseball history might be my favorite part of the game, other than the game itself. Me, five layers of clothing, and Franklin Gutierrez’s stuff. Once out of the locker room, we met Su at Last Fan Standing, once again hosted by Matt Pitman of 710 ESPN. 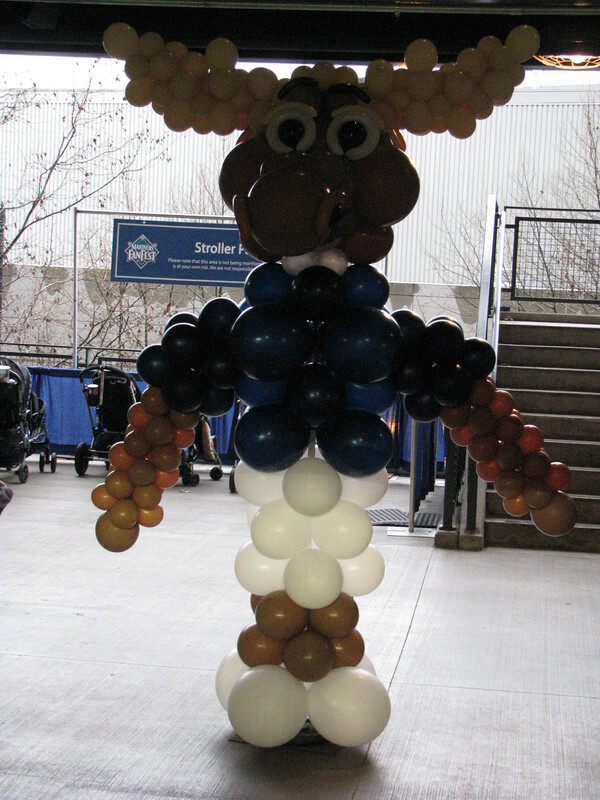 There were some very energetic children and exhausted adults still attempting to win tickets and Mariners swag. It will never be me, I am terrible at trivia. We said hello to Matt after the room had cleared out, and chatted briefly with media relations extraordinaire (and personnel herder) Gregg Greene, who runs the Mariners Twitter account, and keeps things flowing smoothly during the Dugout Dialogue every year. And just like that, it was over! I went to the Team Store to peruse briefly, before deciding that season tickets were a big enough expenditure for the day, and then took Conor home. I was far too tired to post this last night, so here you go. I also wanted to say hello to several people that I didn’t get to talk to long enough. Sorry if I seemed a little out of it yesterday, as I didn’t get a whole lot of sleep on Friday, so I was running on emergency power for most of the day (which might also serve as a reason that time flew by so quickly for me). It always seems like there is never enough time to really chat with people at these things, and, not being much of a drinker these days, going for a pre- or post-event beer is not really in my cards. Maybe over the summer we can have meet-ups somewhere for watching the game on TV and having dinner/drinks/whatever, if anyone is interested. Keep your eye on Twitter, and let Opening Day come sooner rather than later! I am ready for some baseball. Nice write up! 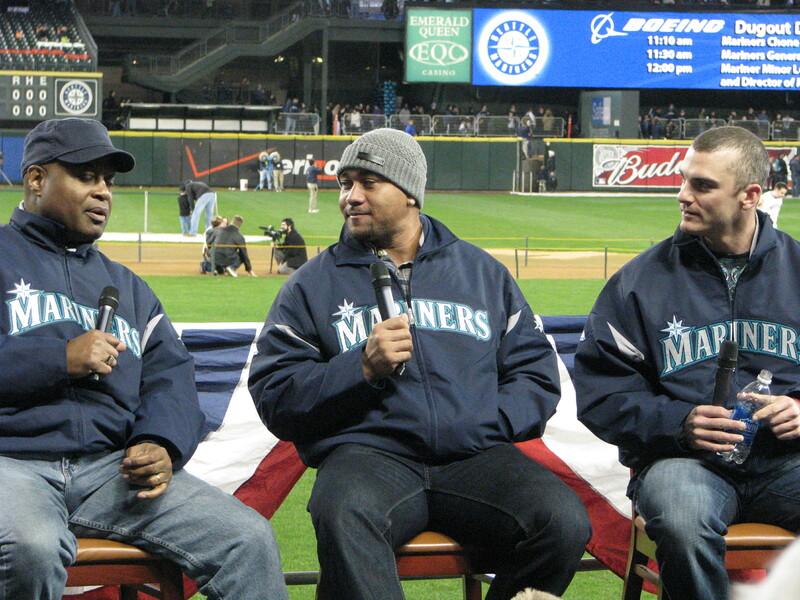 I didn’t get to see quite as much at Fanfest as last year, since I spent a lot of time waiting in line for autographs from King Felix and from Michael Pineda. It was totally worth it! Stopped in Georgetown on the way home and had a nice IPA with some dinner. Dolce vita! 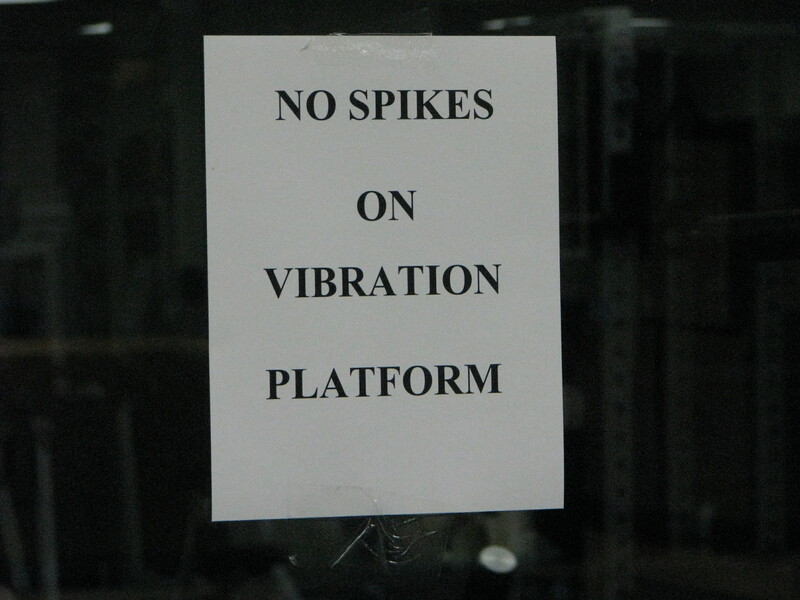 In the press area? Did they open up bits of the upstairs? I don’t think I’ve ever been up there, outside of a stadium tour about a year or so ago. I think I missed a lot just due to planting myself where we were sitting. Went to Jules Maes Saloon afterwards, and had a chicken fried steak with a fairly decent Seattle IPA (Mannys I think). Might have to visit up here more often, even though I’m pretty partial to our local brew in Oly. That’s right, you guys live down south. Apparently, they have an art walk (Art Attack) in Georgetown on every second Saturday, so we are thinking about visiting again on February 12 (art walk is from 6 – 9 PM). That’s interesting about the art walk – it’s not really my thing (I had a lot of crazy artistic adventures in my 20s), but I do know a lot of people who are still involved in that scene downtown – I wonder if they advertise it much in Georgetown? I haven’t seen anything either online or in the papers here about it. Man, I used to be so ‘in touch’ when I lived downtown, and now that we’re out here, it feels like I miss everything! I kind of want to go to the one downtown, but I think I might wait until it gets warmer…but at that point, there will be baseball on every night. I can never win! Nice write-up, by the way. Always enjoy reading your experiences. 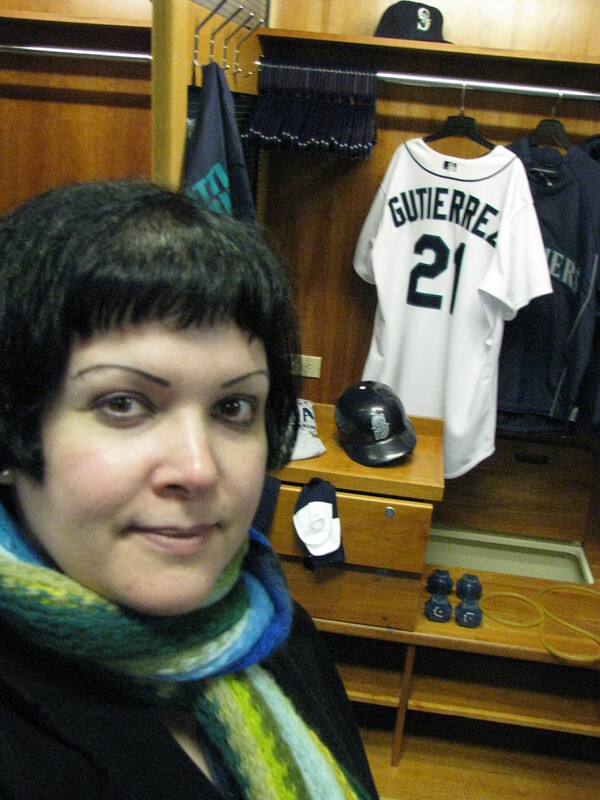 One day I will go to Safeco, and know where everything is! Anyway back to anger! I was there when the Mariners beat down the Marlins for the last game of the series in Florida. I just hope Felix doesn’t start one of the games against Florida, or else I’ll be really pissed! Write ups like this are the reason why section331 has earned it’s way onto my list of baseball sites I check every couple days. I wasn’t able to go to fanfest this year, and I was disapointed. Now I feel like I went! I just wanted to take a second and let you know that what you do is appreciated by lurkers like me, even if we rarely say so 🙂 Thanks Megan. Crooklyn – yeah, I was actually at one of the games here in 2008 when the Marlins scraped us off their shoes. I thought we had a chance because they were having a bad season, but we still had Sexson and Wilkerson, so there was no way a win was going to happen.